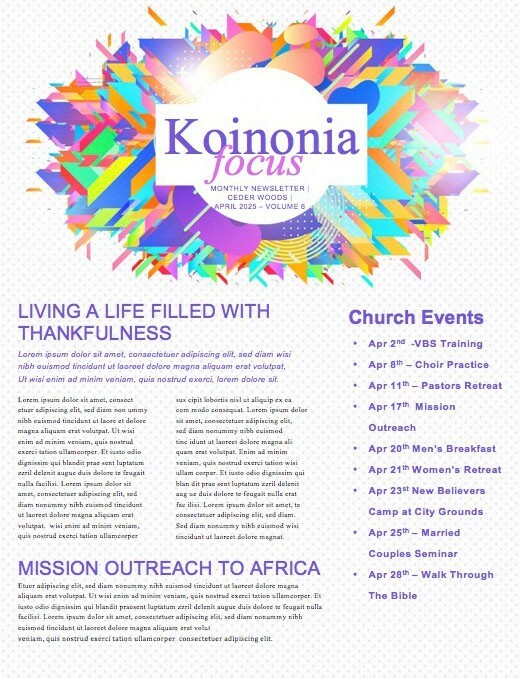 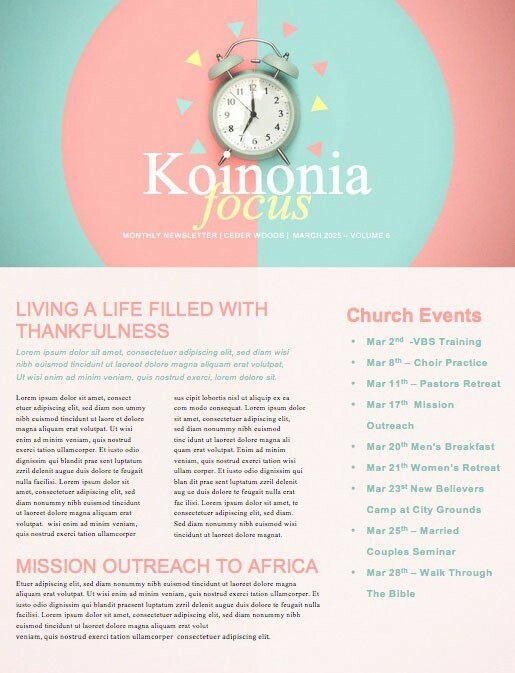 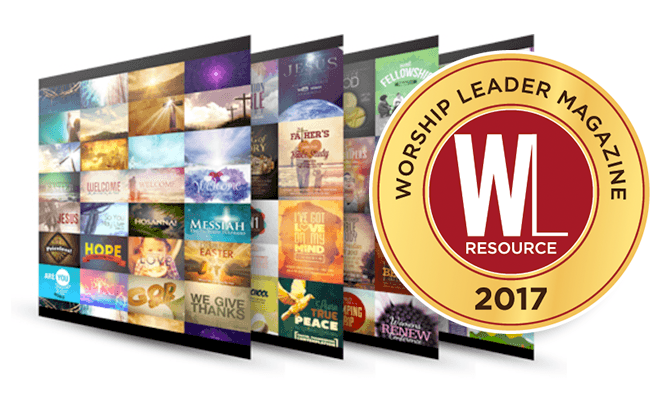 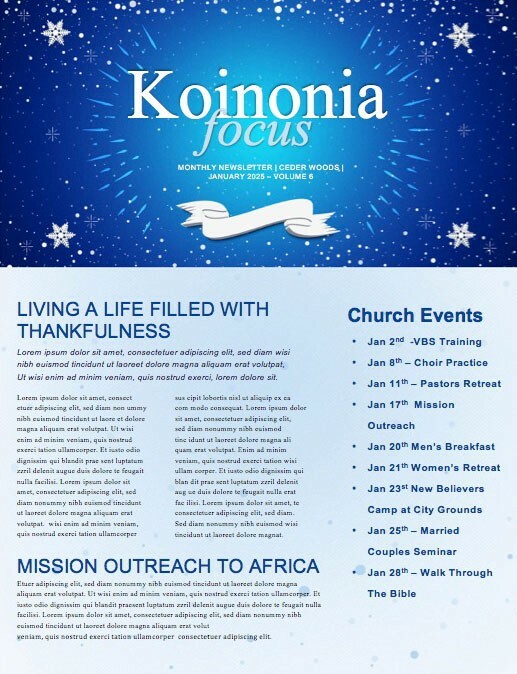 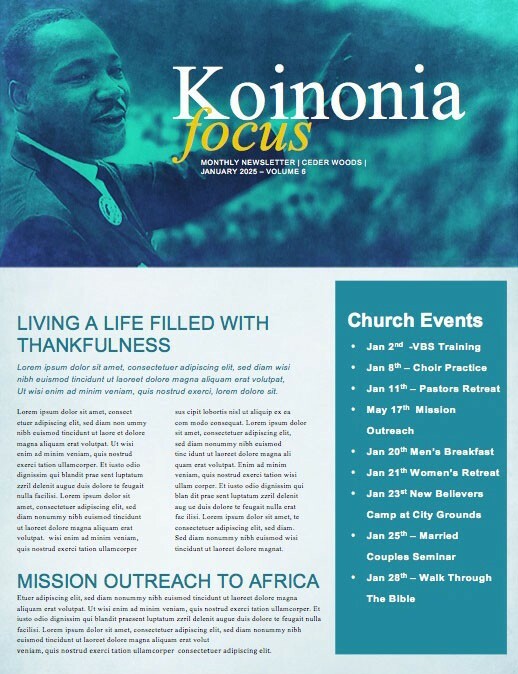 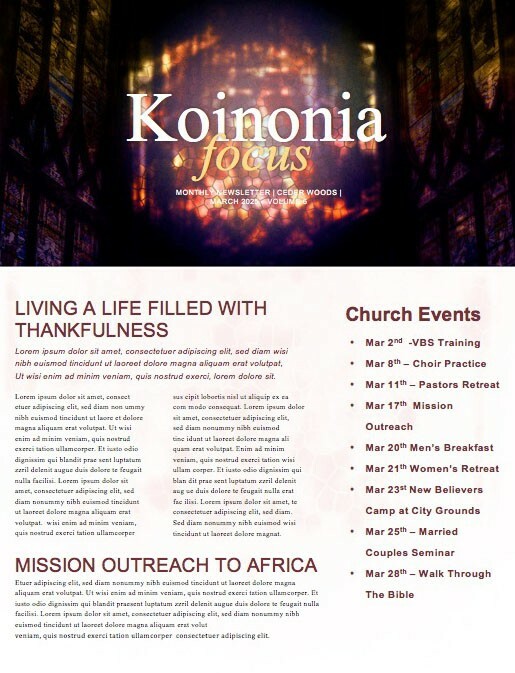 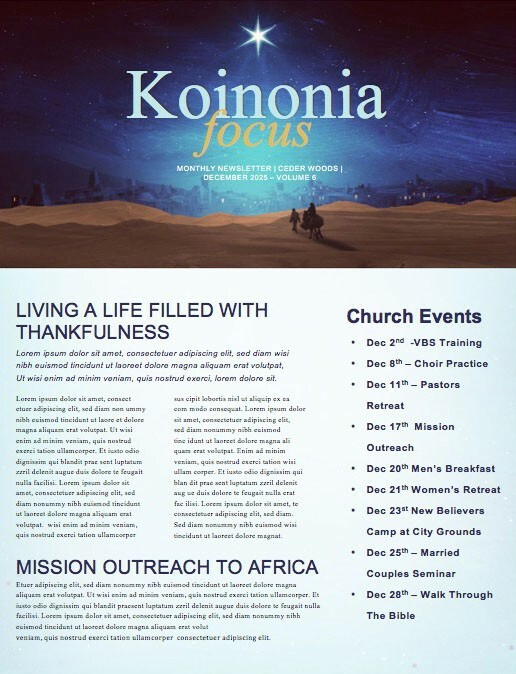 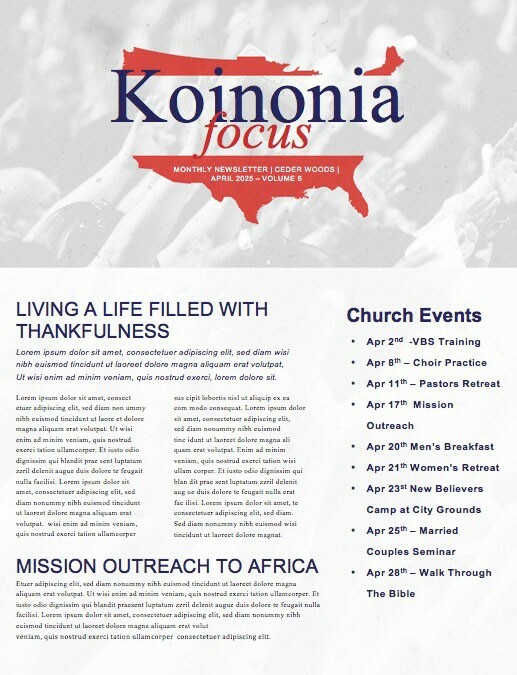 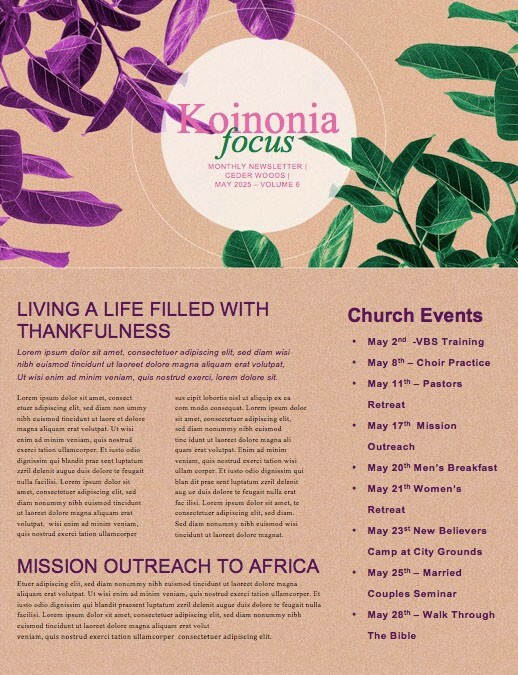 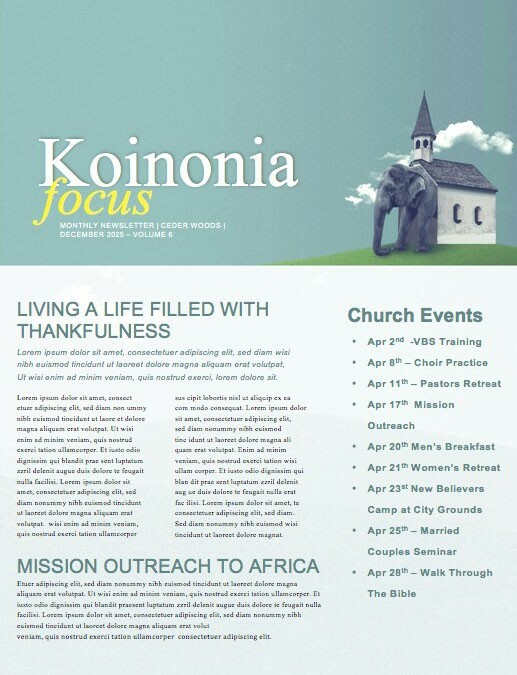 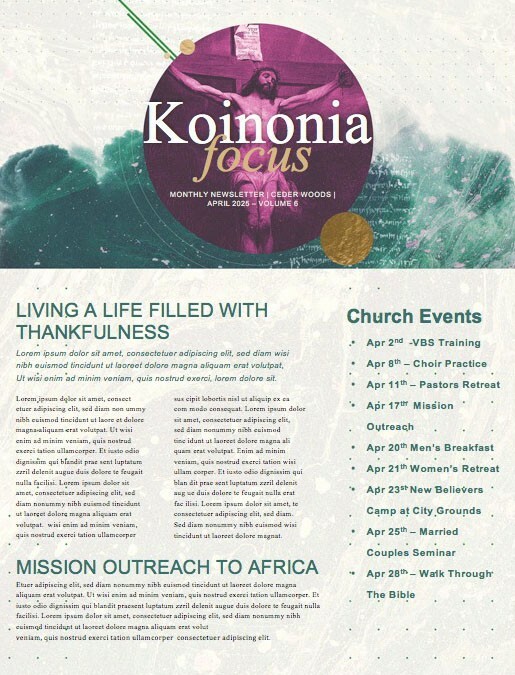 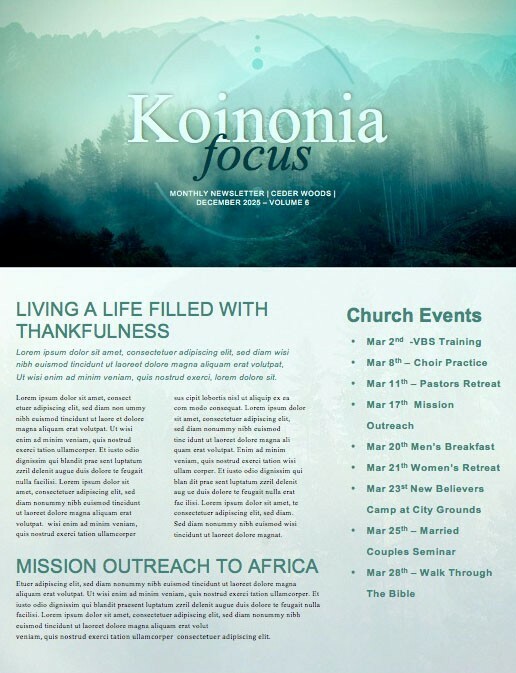 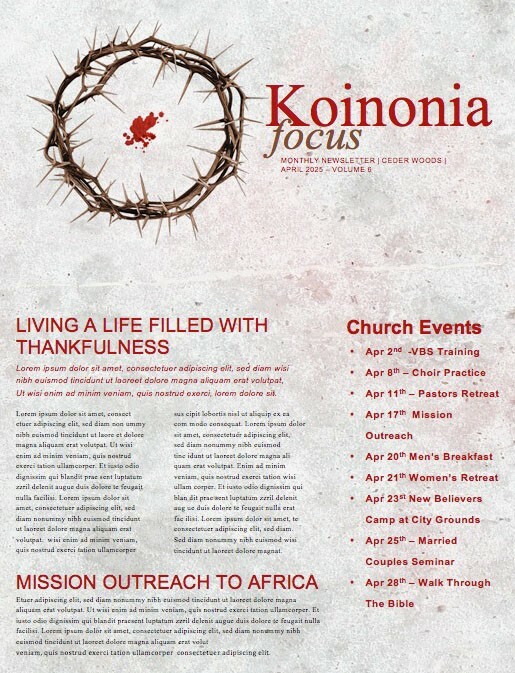 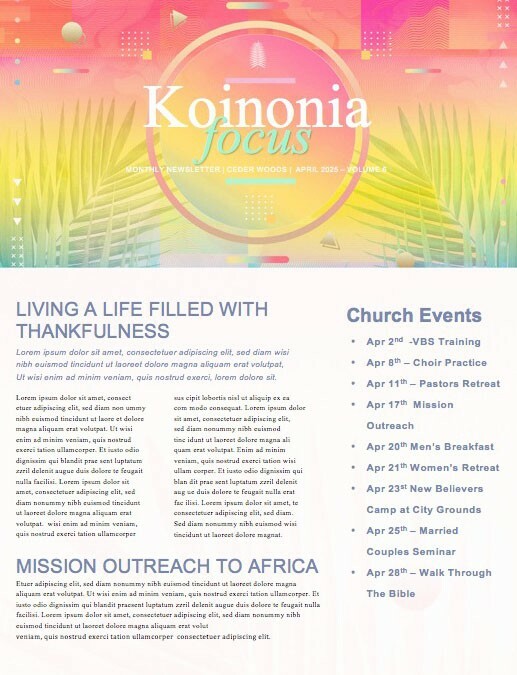 Beautiful edit-ready Church Newsletters and Newsletter Templates. Up the standard on your weekly church newsletter. 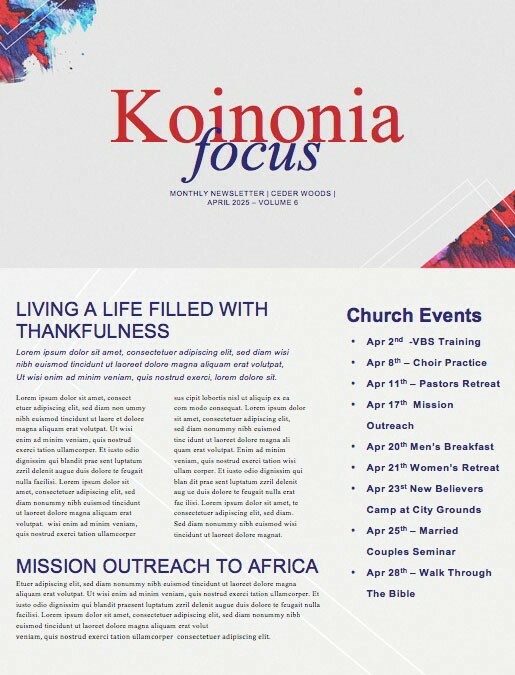 Sharefaith provides the largest collection of premium, customizable newsletter templates. 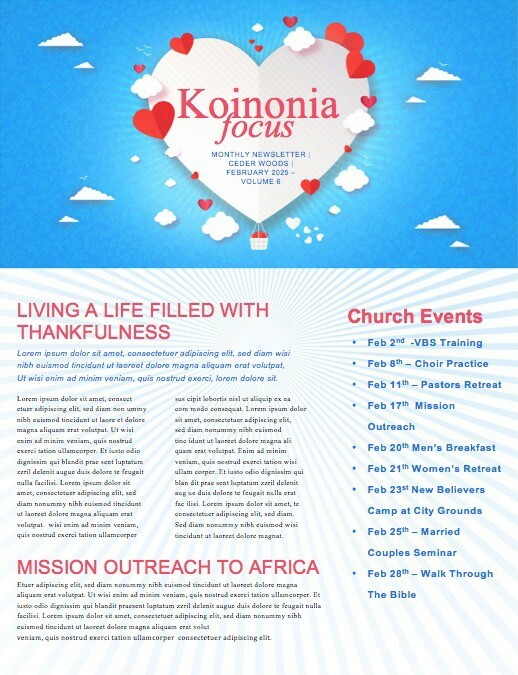 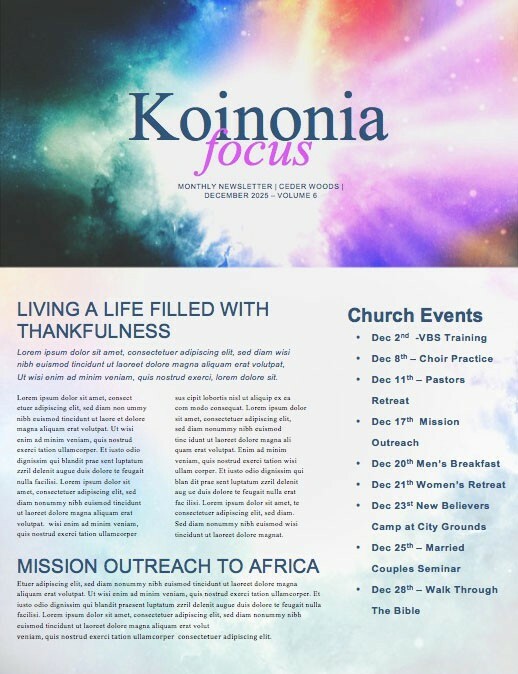 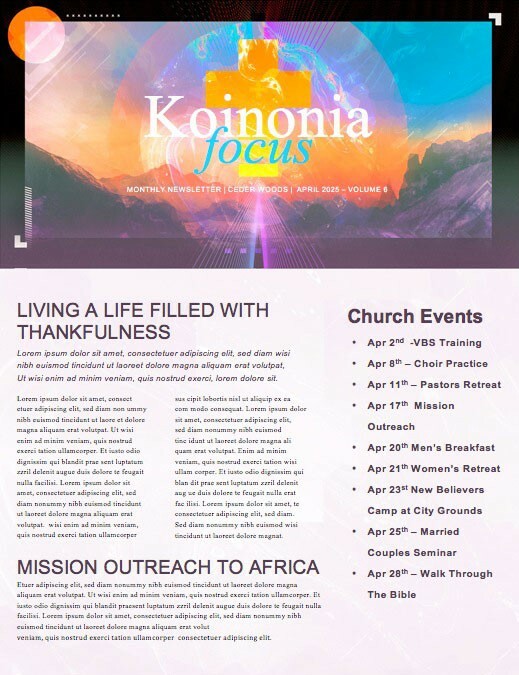 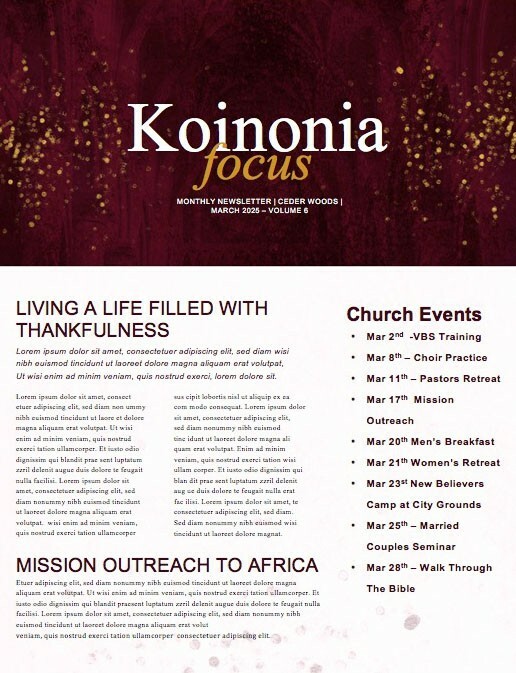 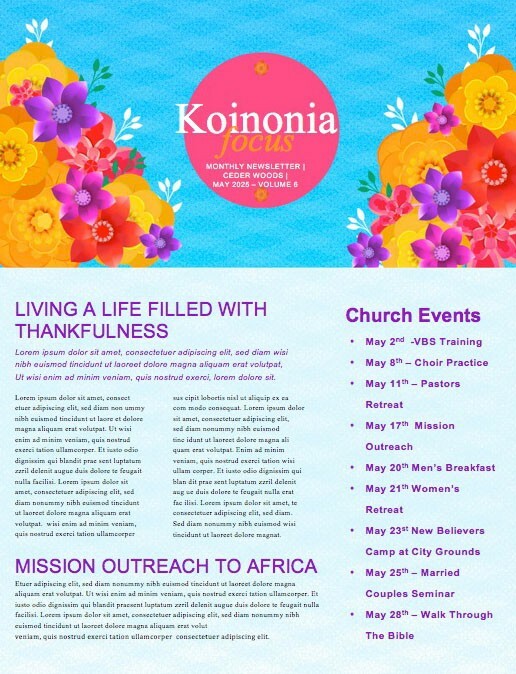 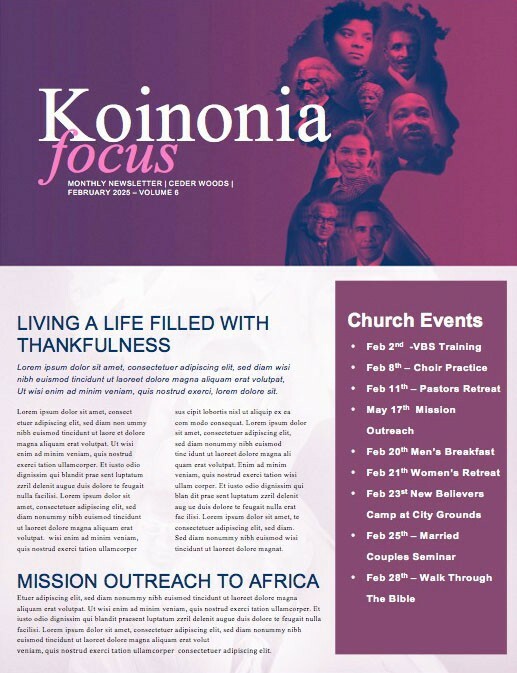 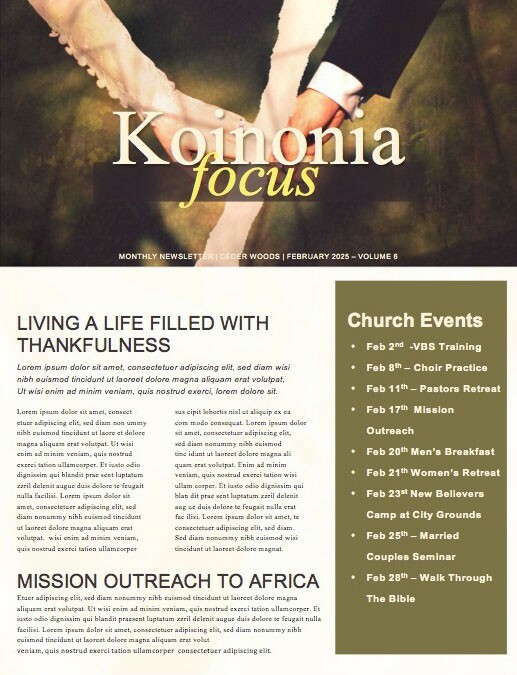 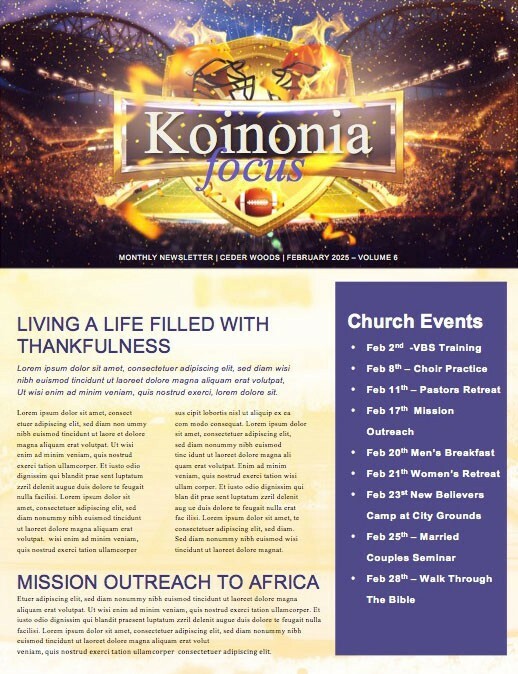 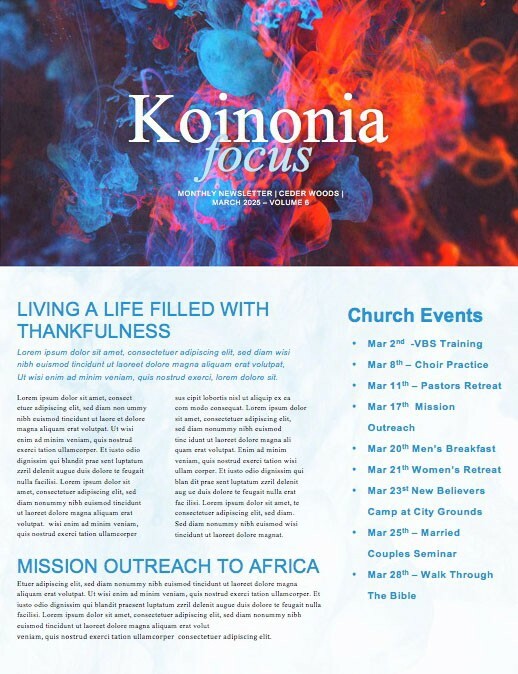 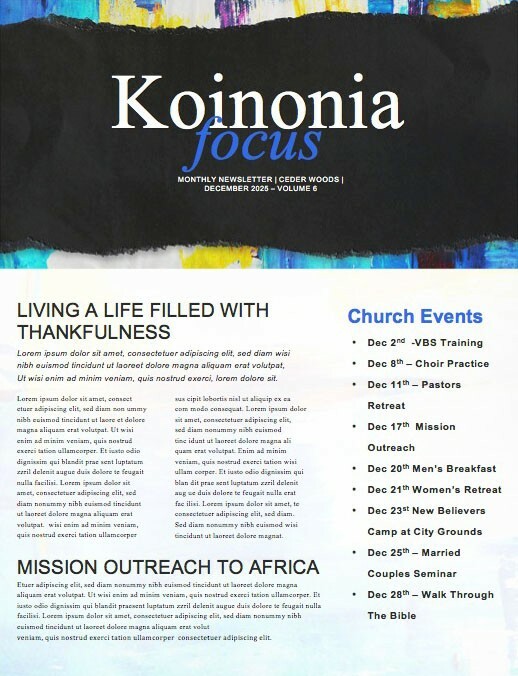 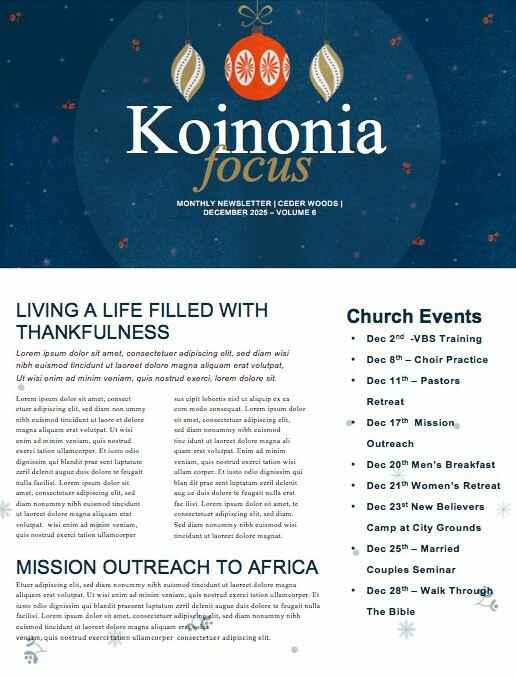 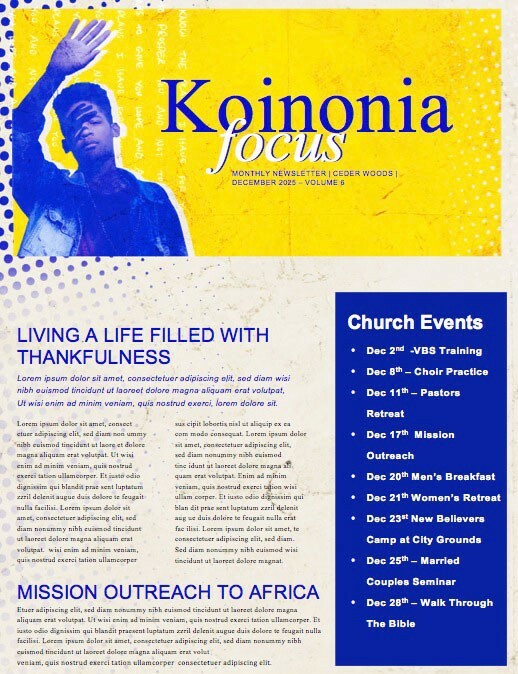 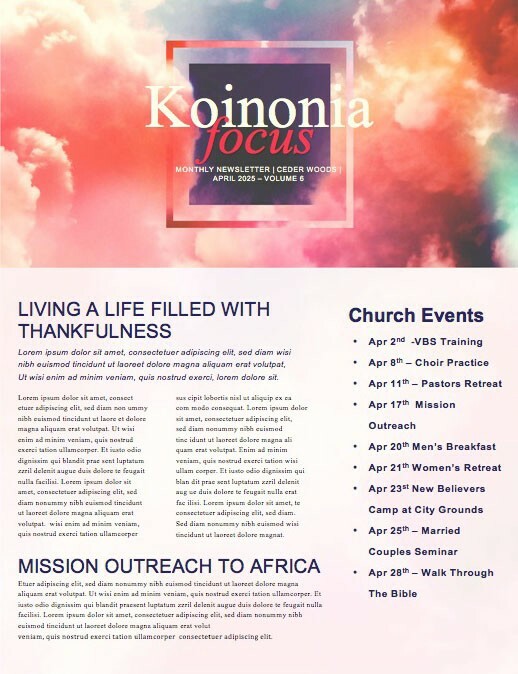 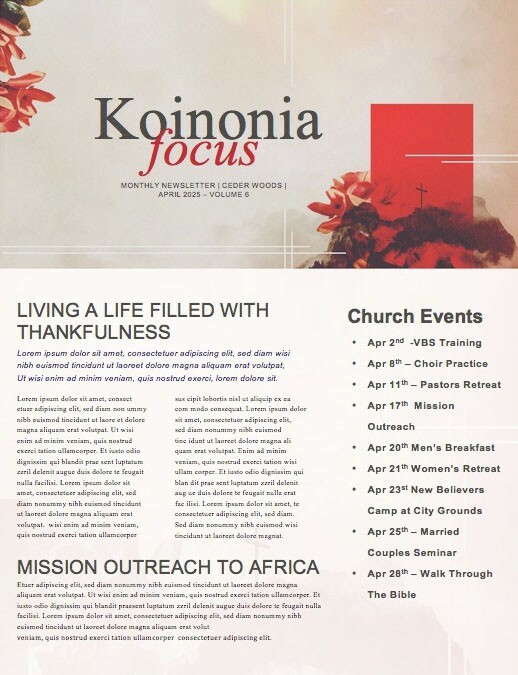 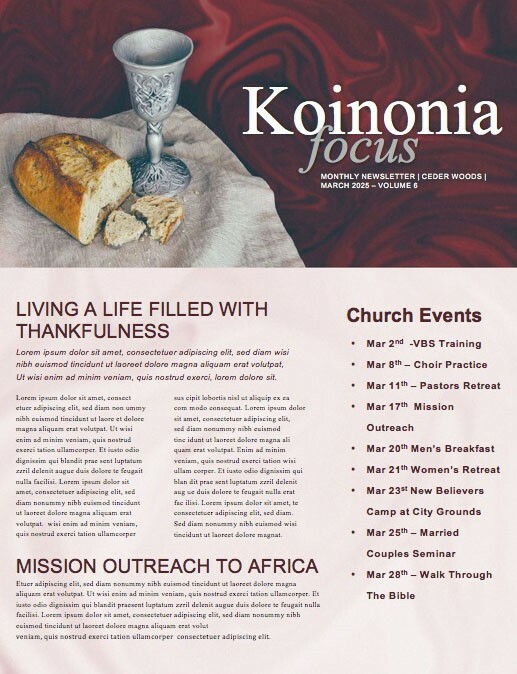 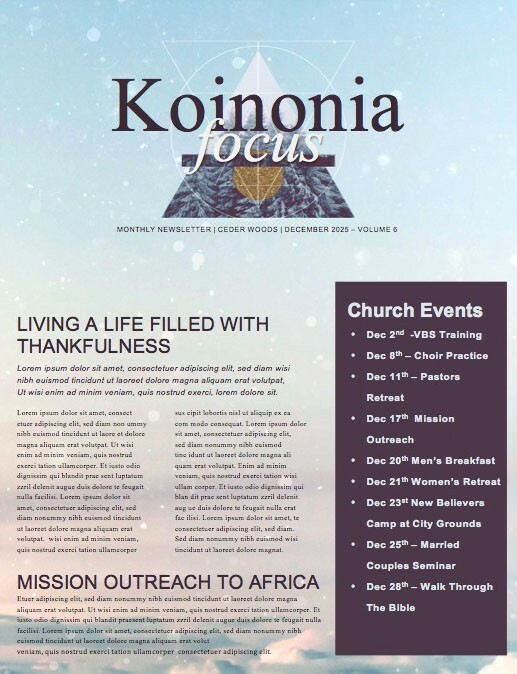 These Christian newsletter templates are available in MS WORD and MS PUB format and can be converted to a PDF for easily email purposes.